ATTLEBORO, Mass. – The puck was dug out on the near boards and angled towards Canton defenseman Owen Lehane, who was hanging at the blue line. The junior lined up a slap shot that deflected almost immediately off a North Attleboro stick and knuckled, weaving its way through traffic, past North goalie Ryan Warren and somehow under the bar. For the second straight game, the Bulldogs had pulled out a win in the closing minutes. 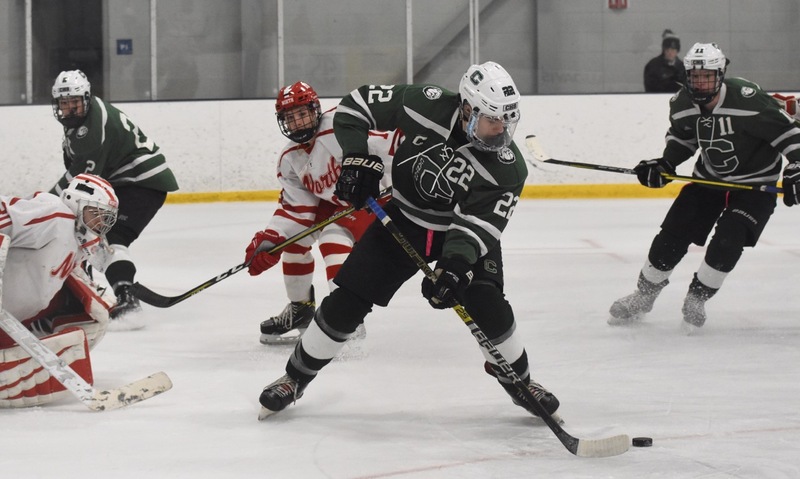 Lehane’s goal with just 2:08 remaining in Sunday afternoon’s matinee at the New England Sports Village handed Canton a 3-2 victory and clinched the program’s ninth league title in a row. “It’s a long season and especially this time of year when you get into the middle of January and guys are sick, guys are hurt, so if you can pull out a win when it’s not your best day it says a lot about a team and it says a lot about our guys,” said Canton coach Brian Shuman, who gave a lot of credit to the Rocketeers for making it tough all game. North Attleboro coach Ben McManama could only shrug at the way the game ended, as the Rocketeers had gone toe-to-toe with (and at times outplayed) not only one of the Hockomock League’s perennial powers but a team that was just added to the initial watch list for the Super 8. Digging the puck out on the boards to set up the Lehane winner was senior forward Ryan Nolte. It was his second assist of the day, to go along with the one goal he scored, and with his three-point haul on Sunday he reached the 100-point milestone for his career. The Rocketeers came out of the gates trying to set a physical tone and looked faster and sharper, but it was the Bulldogs that got the goals. Nolte set up the opener five minutes into the game when he fired a pass from behind the goal line out to Matt Pigeon at the point. The defenseman’s shot was tipped in front by Chris Lavoie, giving Warren (22 saves) no chance. North almost leveled the score just a minute later when Justin Moccia found himself alone on the edge of the crease. Canton goalie Mike Staffiere (20 saves) managed to scramble and get a piece of the shot and then got a piece of luck when the rebound looped up and landed on the bar before bouncing behind the goal. Only a minute later and Canton had doubled its lead. Nolte cut across the slot and initially lost control and whiffed on his first attempt, but he stayed with the puck and whipped a backhand on goal. The puck caught Warren trying to slide across and it slipped through the five-hole to make it 2–0. The game changed in a span of 23 seconds. First a slip on the blue line allowed Dennis Morehouse to steal the puck and find space to rifle a shot from the right circle inside the far post to cut the lead in half. Nine seconds after the goal, North went on the game’s first power play. Fourteen seconds after that, the game was tied. Brendan McHugh started the offensive set by making a grab at the blue line to keep the puck in the zone. North got a shot on goal and Staffiere made the first stop. The rebound was initially played into the side of the net but Anthony Zammiello kept following the puck and knocked it in. Lavoie nearly nabbed his second of the game but Warren flashed a quick glove to deny his shot from the left circle. Shane Marshall had a good chance for the Bulldogs as well when he flicked a quick shot from the slot but Warren was just as quick with his pad. Zammiello had a pair of chances, one set up in front by Jack Connolly and the second on a breakaway, but both times Staffiere had the answer. The first half of the third period was all Rocketeers. North came flying out of the locker room and had the first six shots of the period. Canton didn’t get a puck on net until the 7:40 mark of the third. The best chance fell to Matt McSweeney, who was picked out in front by freshman Nik Kojoian, but Staffiere made a big pad stop to keep the scores level. Despite all the North pressure, Canton held onto the tie and then got the one moment it needed to keep its perfect start to the season alive. It is the ninth straight league title, and 11th in 12 seasons. 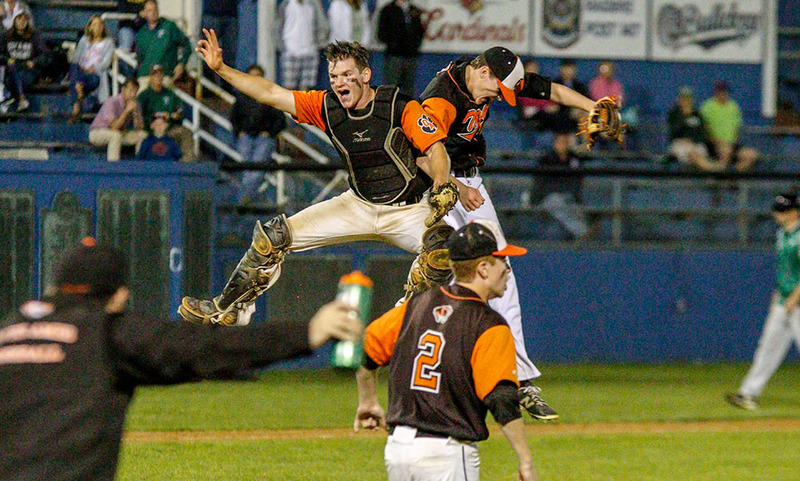 No other team has won a Davenport crown in the nine years since the league split into different divisions. It speaks to the level of consistency as a program that the Bulldogs have displayed down the years. 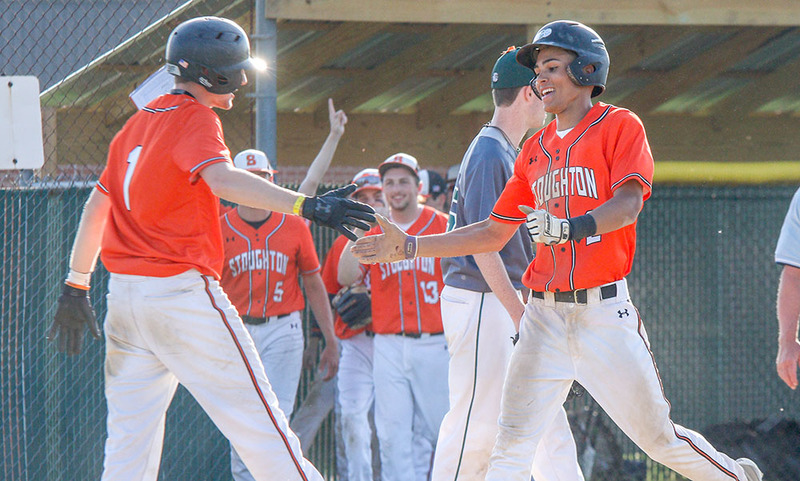 Canton (13-0, 9-0) will try to complete a perfect league campaign when it hosts Taunton on Wednesday. North Attleboro (7-6-1, 5-2-1) will try to make history on Wednesday when it travels to Pirelli Veterans Arena to face Kelley-Rex division leader Franklin, which the Rocketeers have never beaten.